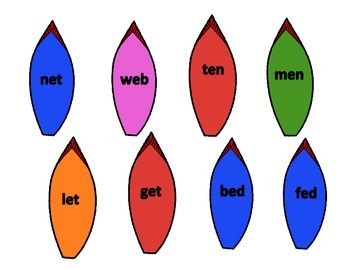 This is a fun game for students to play to work on becoming fluent in short vowel, cvc words. 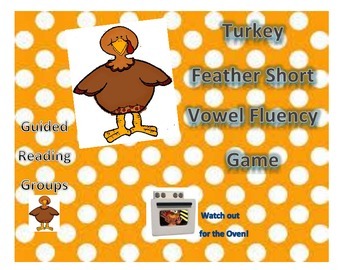 In this game students pick feathers and try to fill up featherless turkey with 7 feathers. 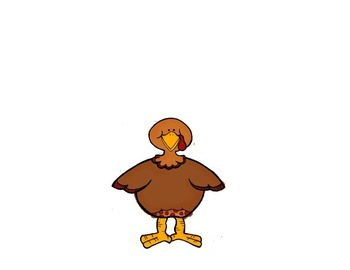 Each feather has a word written on it and if students can read the word they may put the feather on their turkey. 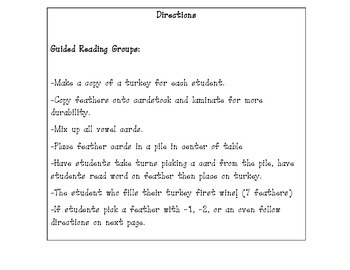 If students pick one of the other cards, a -1 or -2 they must take that number of feathers off their turkeys! If students pick the feather with the oven on it, they must place all their cards back. My students have loved this game in the past and I look forward to using this again with them this year.